Kia Motors has moved from an upstart Asian automaker making inroads in the United States to one cut down by the Asian financial crisis of the 1990s (and bankruptcy) to an inspiring story of comeback and redemption. Kia is now a brand dominating awards and being recommended over and over by those who know best, becoming a brand that even the most established manufacturers should start to fear. Kia vehicles have consistently appealed to buyers who not only want reliable and practical, but attractive as well. The Kia Soul was a huge hit when it was unveiled in 2009 and the Kia Optima singlehandedly rocked the midsize sedan market with its redesign in 2011. Of course, it makes sense that one of Kia’s biggest competitors is the Japanese giant Nissan, who has swept the market with their popular models like the Rogue and the Maxima. Known for impressive fuel economy and posh interiors with budget-friendly prices, Nissan models are likely to be on the radar for anyone looking for good value and beautiful design. Of course, anyone looking for value and style will also be looking at Kia–so let’s see which models truly deliver. The J.D. Power Initial Quality Study in both 2016 and 2017 recognized Kia with the #1 spot, recognizing the impressive characteristics of Kia vehicles across the board. Kia models have been earning accolades across the market. 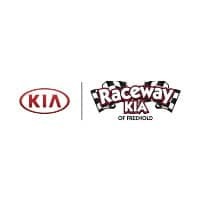 Kia offers one of the best warranties in the industry, and continue to be a fantastic option for people who want a vehicle that is both budget-friendly and impressive features. Kia models offer smart features and design for an even smarter value. Put the Kias and Toyotas side-by-side and see the difference. If you really want to see the difference, test drive both. The Kia will clearly blow you away.